Building an art collection can sometimes be confusing and intimidating. It’s easy to fall in love with numerous pieces across a variety of eras, mediums, subjects and price points. How do you decide which direction to take? How do you navigate between online sites, traditional auction houses, and brick-and-mortar galleries? 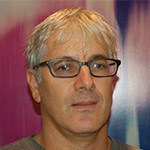 Should you seek “expert” advice and from whom? Four experienced panelists, including a leading auction house specialist, eBay’s art consultant, a private art advisor and a gallery director, will share strategies for emerging and experienced buyers. Established by Lisa Dolby Chadwick in San Francisco in 1997, the Dolby Chadwick Gallery represents an international roster of emerging and mid-career artists working in traditional and hybrid media, including oil painting, drawing, printmaking, sculpture, and photography. The gallery seeks to exhibit articulate, visceral and provocative new work, and to support its artists in the development of their creative process and vision. Embracing a range of styles and content, the gallery’s program focuses on works in which the artist’s dedication to craft, observation, and materials is evident. A common thread is work exploring and redefining the varieties of visual perception and optical effects— celebrating the unexpected surprise of sight and insight. Director Lisa Dolby Chadwick has over 23 years fine arts and gallery expertise, and has overseen more than 20 catalogues and monographs. 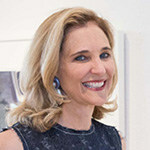 She co-organized the Stephen DeStaebler career retrospective exhibition and monograph for San Francisco’s de Young Museum in 2012, a show cited by SF Chronicle art critic Kenneth Baker as among the best of the year. 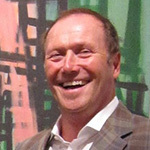 Dolby Chadwick is a 15-year member of the San Francisco Art Dealers Association where Lisa served as a board member for 2 years. She currently serves on the board at the Achenbach Graphic Arts Council at the de Young. 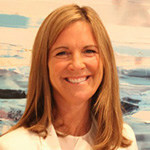 Jennifer Biederbeck currently serves as Head of Sotheby’s San Francisco Office. In this role she negotiates auction sales, private sales, and appraisals for Northern California buyers and sellers of art. She also oversees corporate support and outreach to art-related regional institutions. Ms. Biederbeck joined Sotheby’s in 1988 as a Cataloguer in Sotheby’s New York Jewelry Department. During her tenure with this department she participated in such landmark sales as Jewelry from the Andy Warhol Estate, Magnificent Jewels of the Countess du Boisrouvray and The Jacqueline Kennedy Onassis Estate, among others. Ms. Biederbeck is a native of San Francisco. She received her undergraduate degree from Stanford University and is a Graduate Gemologist. She is active in the non-profit sector, currently serving on the Development Committee of the Fine Arts Museums of San Francisco and the Women’s Board of the California Pacific Medical Center.